The Utah State Board of Regents oversees the establishment of policies and procedures, executive appointments, master planning, budget and finance, proposals for legislation, develop governmental relationships, and performs administrative unit and program approval for higher education for the State of Utah. 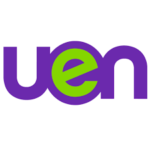 Mission Statement: It is the mission of the Utah Education Network to provide the citizens of Utah access to the highest quality most effective instructional experiences, administrative support services, library services, student services, and teacher resources regardless of location or time. These services will be delivered through seamless, technology-rich, communications networks linking schools, world information networks, business, industry, and homes. 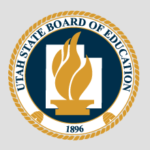 Mission Statement: The Utah State Office of Education will promote consistency in implementation of education policy and advocacy for students through leadership, service, and accountability. 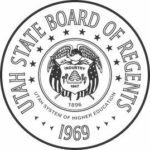 The Higher Education Utah 2020 Report provides a periodic update on how the Utah System of Higher Education is progressing toward the state’s goal that 66% of Utah adults will hold a post-secondary degree or certificate by 2020.